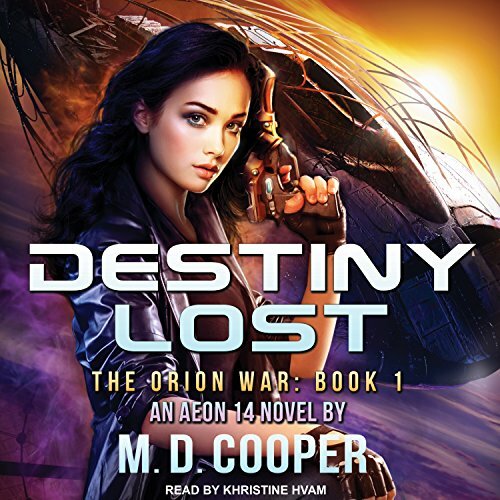 This book can stand alone, however, I feel that it also should be listed as book 4 in the Intrepid Saga/Orion War Series as it follows book 3 in the Intrepid Saga and at the same time introduces new characters with a story of their own that come to interact. The story is fast paced and full of fight. I recommend that you start with book 1 of the Intrepid Saga, they are all good books and I personally believe you will enjoy them and have a better back story on a number of the Intrepid characters. I listened to the audio book on a trip. Great story with great characters. The reading quality was top notch. Ok, I really like B V Larson’s books but..
Ok, I really like B V Larson’s books but.. There are just to many issues with this book. 1) the future with no real changes except space travel? 2) A Marshal so stupid he acts like a ten year old? 3) They still use chemo drugs when we currently are maybe less then fifty years from nano medication s? Excuse me? Story seems to drag. Childish! That’s all. I have over one thousand Audible books in my library but I intend to return this one. A wild ride with hope, love, desperation and epic struggles. 2 - 6 here I come! Book has a good story with some fun and creative bits but it all is drowned in how the female characters are portrayed. Clothing choice (or lack of) is 70% of how female characters are portrayed. Fetish fest in space is quite close to the truth. It’s annoying and extremely repetitive throughout the book. The male characters aren’t really described at all as they are pale and without personality. I actually enjoy the fact that the book has more female characters but it just as the good story false flat. I loved this story. The characters are great, and the author doesn't resort sec to spice up the plot. I even bought the next audio book at full price, and I rarely do that. A good sci-fi story but not unique enough for me to want to continue with the other books. A bit too easy to see what was going to happen. My goodness what a story. And an ending that makes you want to run out and get the next one right now.